Sunday is here again and that means SELFIE time! Every Sunday we join The Cat On My Head’s Sunday Selfie Blog Hop and this Sunday is no exception. Why not join us? Click on their badge above and fill out the LINKY form – that’s all there is to it and you can strut your stuff with us. Mom and I were out in the front yard for a walk two days ago and it was hot hot hot – I took a break and hopped into the front garden which Mom says “really isn’t fit for photos” since she hasn’t weeded and mulched it yet BUT I like it just the way it is. I like to get under the dwarf Japanese maple and hide. Sometimes I’m invisible – sometimes not. Later when things are blooming more, I will be the amazing invisible cat every time I go in there but just now – there are gaps in the “cover” !! A Just Plain GOOD Day! Wow – yesterday was a pretty day – well, honestly it didn’t start out all that great but that just gave me a chance to have a decent nap when Mom got home from her errands….but the REST of the day I spent inspecting the front yard. When I went to the front garden I found that my FAVORITE plant was way bigger than it was just a week ago! I call this my “umbrella” because if I’m out in the rain it keeps me dry (sort of) and if I’m out on a sunny day it keeps me out of the sun (mostly) and if I’m spying on a squirrel or bird it’s PERFECT cover! 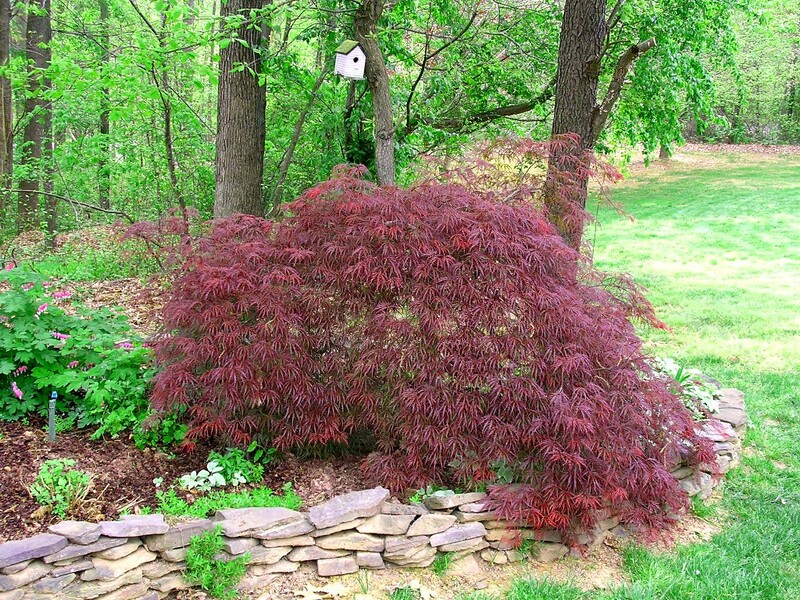 It is of course Mom’s dwarf Japanese red maple tree. 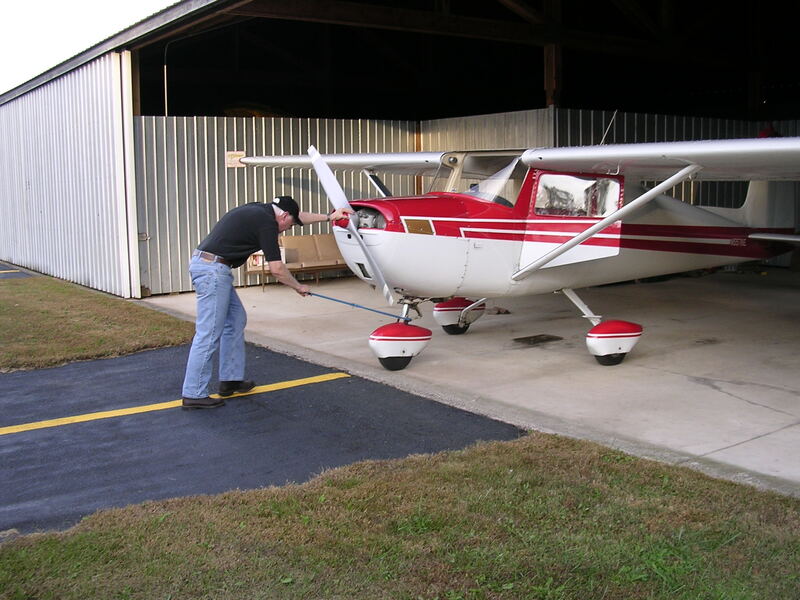 It’s 15 years old – older than me even…..
My Dad went flying today because it was such a nice day. I know most of you have seen Dad putting the plane away after he’s taken it out for a spin but just in case!